Also, a vital proof of identity, it can come handy anywhere and anytime. However, if you don't use it at all, it may get deactivated. The primary reason your Aadhaar card may get deactivated is non-usage. 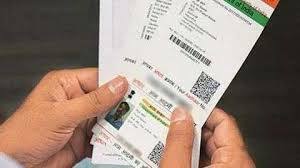 According to UIDAI officials, if you don't use your Aadhaar for three consecutive years- for example, you don't link it with any service, or don't use it for any transactions, it might get deactivated.